ready to BRAWL. Jones walked to the scale with a fire that I have never really seen out of the young champ. The two then had a tense nose to nose face off, differing from Jones’ usual stare-off-into-space-like-I’m-too-cool-for-this approach. Oddly enough, the crowd loudly booed the Champ and seemed to favor Rashad, a trend I am seeing carry into the online MMA community. This card has been panned by some for resembling a high profile boxing Pay-Per-View. To the untrained eye, this card features only one marquee bout and a whole bunch of “filler” beneath it. I highly disagree, this card will surely feature some explosive finishes and absolute wars. Matt Brown and “Wonderboy” Thompson will surely be throwing bombs at each other until one of them is staring at the roof of the arena. Both will be looking to strike, but I think the Wonderboy will come out on top with a highlight KO. I am excited to see what Rory MacDonald has in store for us in the co-Main Event. GSP proclaimed the young Canuck to be a future champ this week; it is hard to disagree. Both guys are great strikers. Rashad has shown one punch KO power, Jones does not. Both are great on the ground, Jones has shown the ability to submit opponents, Rashad has not. Bones has lost once, Rashad has lost once. Both guys are freakishly athletic. Both have had the Light Heavyweight belt around their waist’s and have multiple wins over top tier fighters and former champs. But somehow Jones is a 6 to 1 favorite???? I just don’t understand it. This is going to be a battle, the fighter that wins is going to have to force his gameplan early and make the other guy uncomfortable. I think Rashad could win if he presses Jones early and establishes the center of the cage as his own. Rashad hits like a freakin’ freight train and Jones could be in for a early night if Rashad connects with a right hand. Jones’ path to victory lies on the ground. Rashad has rarely been put on his back and Jones can easily make Evans a beached turtle. If he puts Evans’ in defensive mode, I can see Jones working a submission win similiar to the Rampage fight. After watching the Primetime special leading up to this scrap, I think Rashad has a great chance to spoil Bones (and the UFC’s) party tonight. He is in a great place mentally and doesn’t seem as fixated on all of the crap outside of the ring as Jones is. Jones had a focus on Rashad’s thoughts and words that was a little odd to me. Just days before the biggest fight of his career and he was worried about what the other guy was thinking? I think Rashad enters this fight with a clear mind and nothing to lose. On Primetime, he said something about wanting to “change the way Jon Jones lives his life”, these words struck me, they showed true determination. 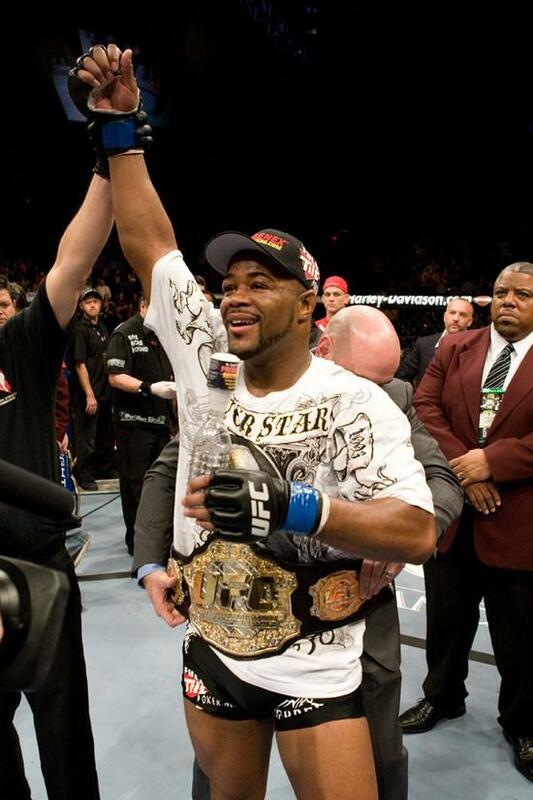 I think Rashad will succeed in that task tonight and once again become the UFC Light Heavyweight Champion. Who do you have in tonight’s big fight? Let us know in the comment section. This entry was posted in MMA, Opinion and tagged Jon Jones, Rashad Evans, Rory MacDonald, UFC, UFC145, Ultimate Fighting Championship. Bookmark the permalink. ALar if you and I fought it would change your life . . . you know you’d be able to brag to everyone that you beat me up.